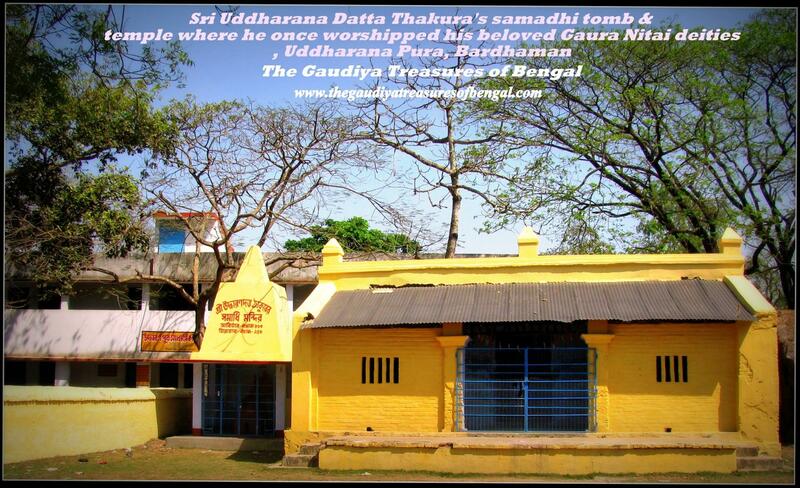 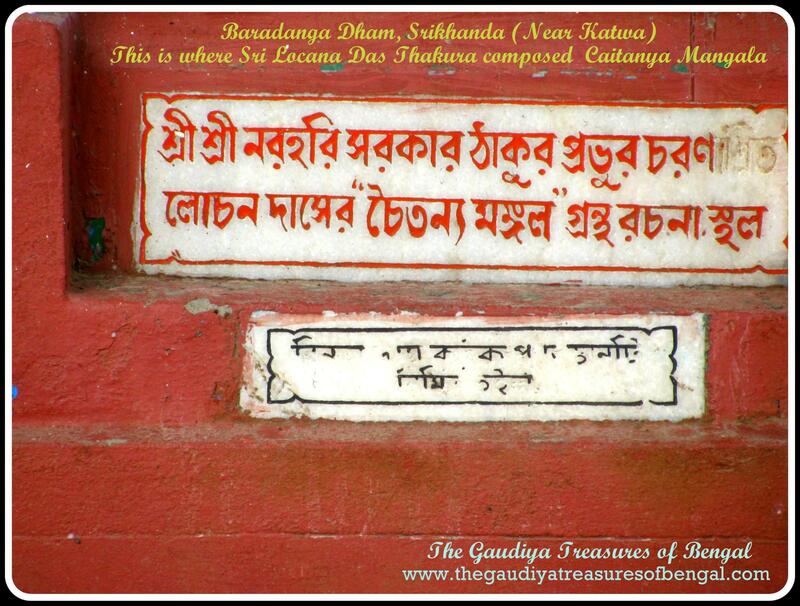 It was here at Sri Gauranga Bari, that the supreme personality of Godhead, Sri Nimai pandita, was awarded with the sannyasa order of life by the eminent sannyasi ,Sri Keshava Bharati ,about 500 years ago, and was conferred with the new name ,Sri Krishna Caitanya. 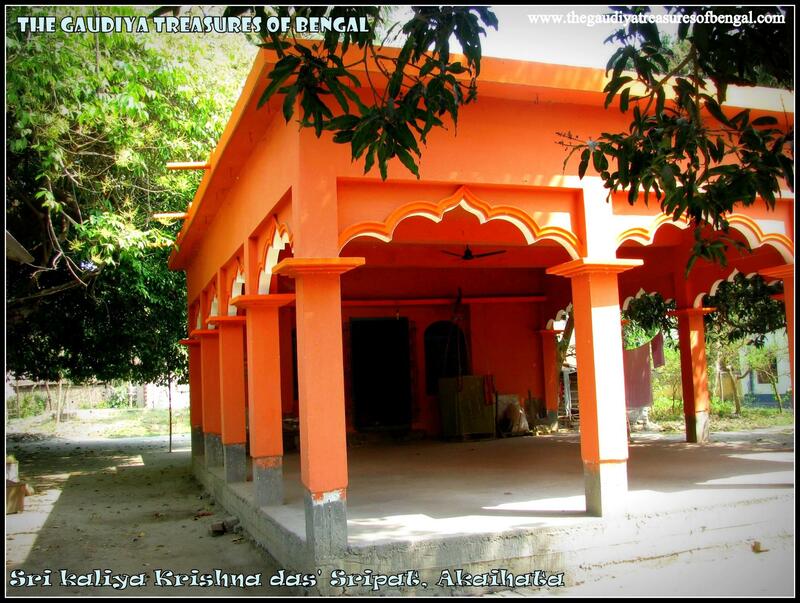 This is the same place where the beautiful hairs of Sri Nimai pandita were shaved off forever, by the barber named Madhu, who wept bitterly as did all the other devotees, who couldn’t tolerate the Lord of their lives relinquishing His beautiful curly hair .That hair ,decorated with malati flowers , which previously in Dvapara, had enchanted the gopis and forced them to abandon their homes,families and everything in their possession; that same hair which Lord Brahma, Shiva and Narada used to greatly glorify ,was now abandoned. 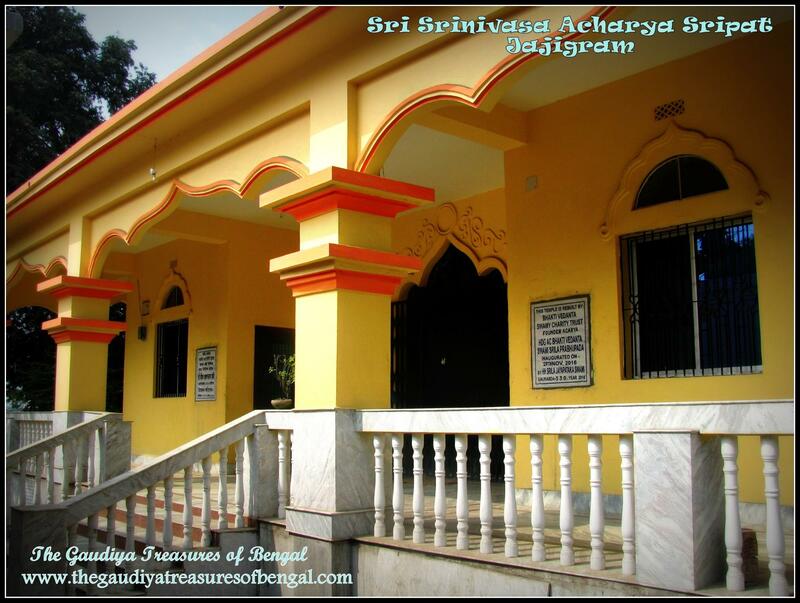 The team from ‘The Gaudiya Treasures of Bengal’ considers itself supremely fortunate to have been able to arrive and take darsana here at Sri Gauranga bari, on the auspicious occasion of Sri Gaura purnima and participate wholeheartedly in the celebrations. 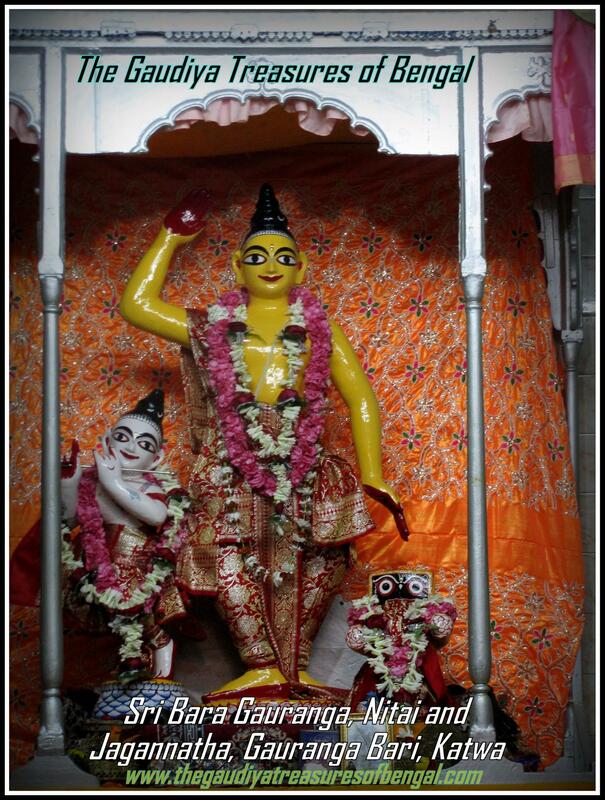 We have covered the appearance pastime of Sri Gaurahari in a separate article entitled – ‘YogPeeth, Mayapur, Navadvipa – The birthplace of Sri Caitanya Mahaprabhu’). 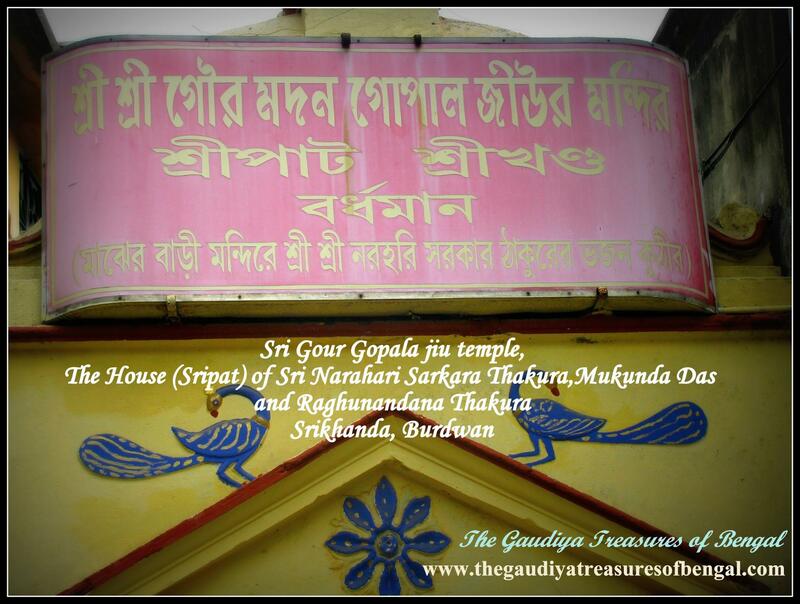 Lord Gaurasundara’s head shaving and sannyasa ceremony took place during the auspicious constellation of Makara Sankranti,in the month of Magh, here at Gauranga Bari,in Katwa. 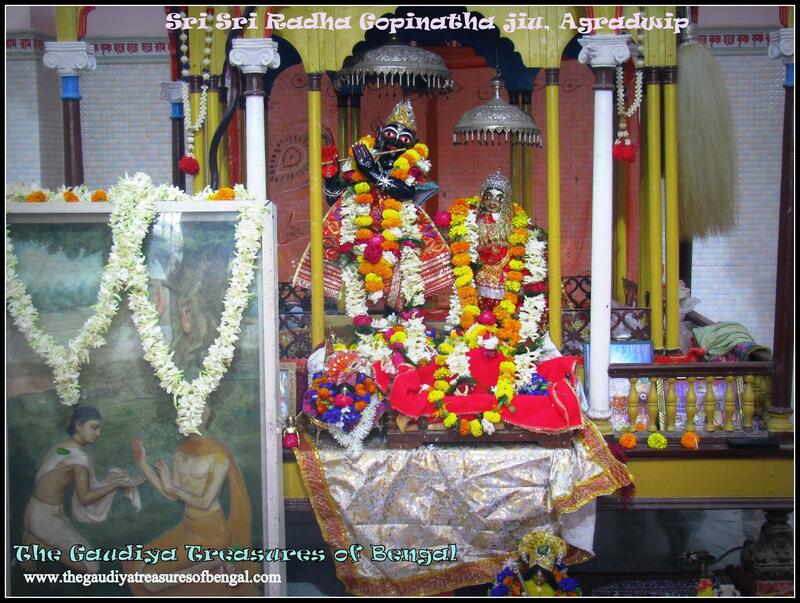 Instead of picking up his razor, the barber Madhu, sat hanging his head between his hands and cried profusely.Madhu could realize that Sri Nimai pandita was the Supreme Lord and he requested Him again and again to reconsider His decision of accepting the sannyasa order. 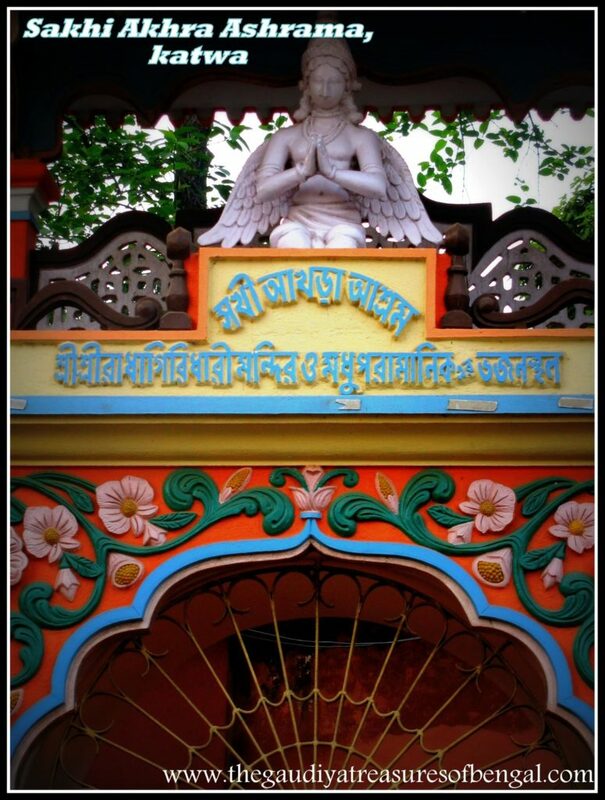 We have covered in detail the pastimes of Madhu, the barber ,in a separate article entitled- ‘Sakhi Akhra and Madhai Tala ,Katwa’.